DigiCel FlipBook Helps 3D Animators Work Faster and Better ! ! ! 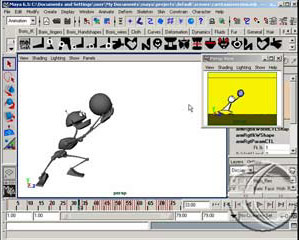 "Posing a character on the computer takes way too much time because of all the controls that have to be manipulated, I find that I can draw and animate a simple stick figure inside of FlipBook to represent my character and solve the performance in real time. When I'm happy with my performance then I can bring my FlipBook images into Maya as an ImagePlane and use them for reference for my CG version. All the directors love this way of working because they get to see a blue print of the shot very quickly instead of seeing a weird CG blocking pass with floaty computer in-betweens." Click here to visit Jason's web site. Click here to visit Jason Ryan Animation Webinars. FlipBook Saves Spiderman at Sony Pictures Imageworks! Valve Software uses FlipBook to help them improve their 3D games. 9 Out of 10 Professional Animators Use FlipBook! DigiCel FlipBook is Production Proven!